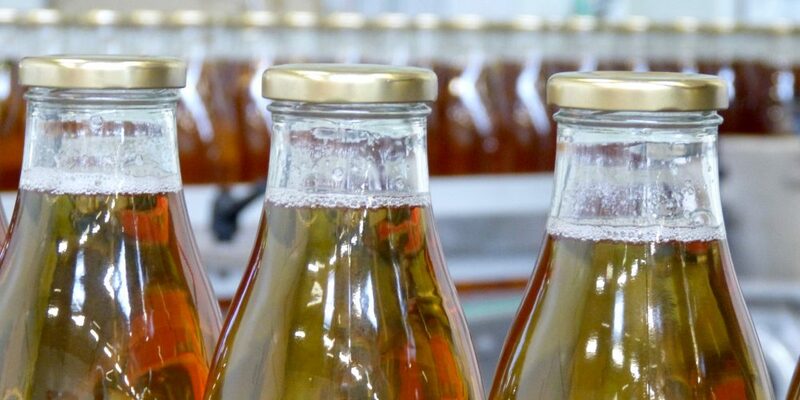 Our high capacity bottling line allows us to manufacture a wide variety of beverages: still fruit juices and nectars, sparkling fruit juices, carbonated wines, lemonades and sodas, beers, ciders. Whatever the nature of the product and the method of corking, the filling is carried out in order to respect its intrinsic qualities and to provide you with a flavorful beverage. All products manufactured by JDLO, a bottler of beverages, benefit from a cold filling. Thus, beverages are not heated before bottling. Pasteurization is then carried out in the tunnel provided for this purpose. This technique of cold bottling allows to respect all the qualities of the products in terms of flavors. This avoids especially the tastes of cooked fruit or compote that sometimes can be found on some apple juice. This is one of the reasons that JDLO, a bottler of beverages, is able to obtain medals every year at the “Concours Général Agricole” (Paris Agriculture Fair) for its own products. An excellent taste also rewarded for 3 years by the sign of quality “Flavors of the Year”(award by a consumer panel). 480 consumers have tasted the blind and validated our range of SPARKLING FRUIT JUICE COEUR DE POM '. Depending on the size and nature of the products, we can produce 50,000 bottles per day: reactivity ensured especially during harvesting, to avoid waiting for your products or to guarantee a fast delivery in case of stock shortage of one of your references. 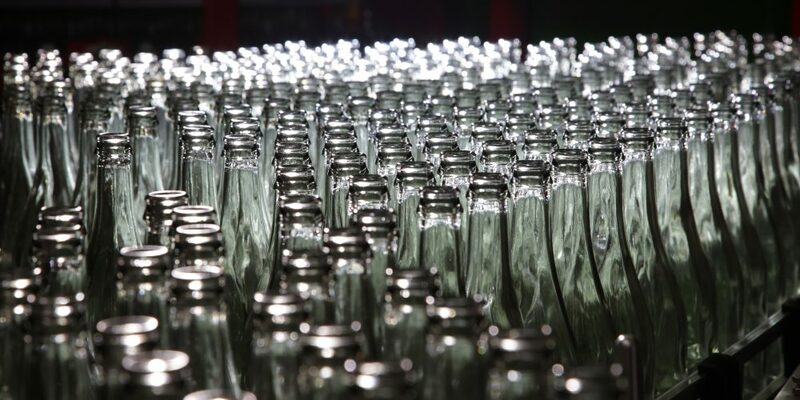 Our bottling line is dedicated to bottles (of all sizes) exclusively made of glass to resist the thermal stresses of the pasteurization stage. From the individual size to the event bottle, we know how to adapt our tool to the product requirements. As a beverage bottler, our offer is flexible. 40 bottle sizes, 5 corking techniques: so many possibilities to imagine new products and allow you to segment your ranges in order to seduce new consumers. The multiplicity of formats and the flexibility of the bottling line offer a wide range of finished products. 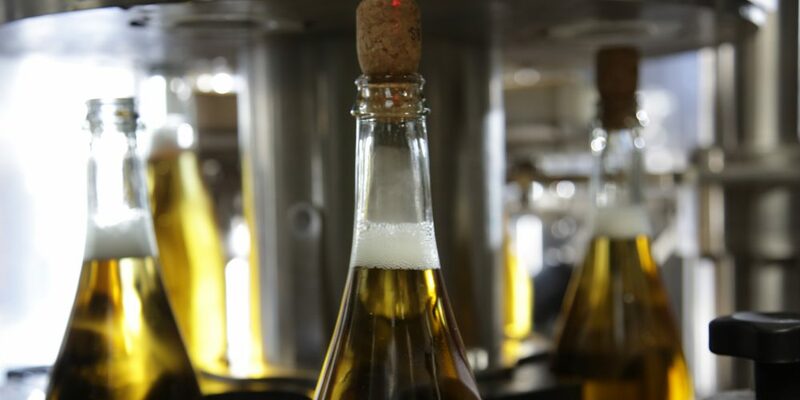 The quality department sets up the necessary controls inherent to each type of product at the time of bottling. 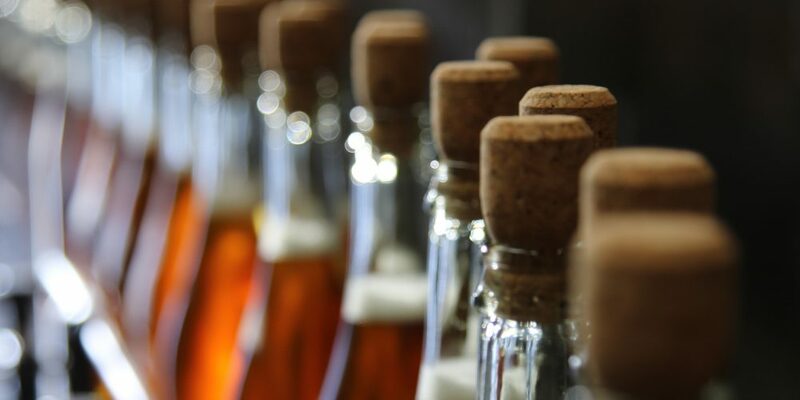 Each bottle or cork supplier also provides the technical elements to ensure that the product complies with your requirements and regulations.